Anaplasma marginale is an organism that lives in red blood cells and causes the only major “tick-borne” disease in the U.S. affecting cattle production. Although ticks are important for this organism to survive year after year, transmission is by any transfer of infected red blood cells from infected to susceptible cattle. This includes biting insects (mosquitoes, horse flies, stable flies) and/or using blood contaminated instruments such as dehorners, ear taggers, castration tools, and implant guns. Probably the most common way it is transmitted is using the same needle on multiple animals when administering vaccines to the herd. The disease usually affects adult cattle in the fall of the year with the majority of cases submitted to the UK Veterinary Diagnostic Lab (UKVDL) starting in late September and continuing through the first 1-2 weeks of November. This organism causes anemia in adult cattle which means there is a very low number of red blood cells in the bloodstream. Lack of red blood cells results in a lack of oxygen to the vital organs in the body. Infected cattle will show signs of weakness, lagging behind, staggering, rapid breathing and sometimes foaming from the mouth. 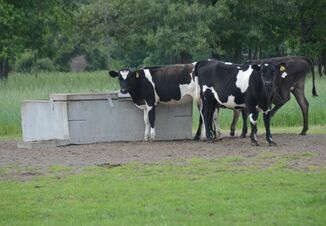 Affected cattle quit eating and usually there is rapid weight loss noticed by the owner. Cattle may become mean and aggressive due to lack of oxygen to the brain. Death can be rapid, especially with exercise, or cattle may be simply found dead with no symptoms. Typically, several adult animals in a herd will die within a 1-2 week period of time. 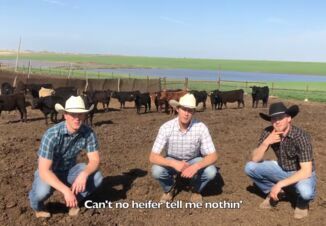 Younger cattle, especially less than 6 months old, rarely exhibit signs of disease due to active production of new red blood cells (RBCs) in growing calves. Anaplasmosis in animals from 6 months to 2 years of age may be misdiagnosed as pneumonia because symptoms include fever and increased respiratory rate. If an animal (regardless of age) becomes infected and survives, that animal will become a carrier for life. Once they become carriers, they are never sick from the disease again but serve as a reservoir for infection of other, naïve animals. Infected bulls that survive may become infertile for up to a year. Pregnant cows that survive almost always abort the calf they were carrying at the time of infection. Treatment with tetracycline is essential if showing clinical signs of disease. No injectable antibiotic is formally approved for treatment so any form is “extra label” and must be done under veterinary direction. A single intramuscular injection of long acting oxytetracycline at 22 mg/kg of body weight (or 10 mg/lb BW IM) will often stop progression of clinical cases. Severely affected cattle may die due to stress associated with going through the chute. In an outbreak situation, it is recommended to treat all adult cattle in the herd with injectable oxytetracycline, then begin feeding chlortetracycline (CTC) at the high end of the control dose (2mg CTC/lb body weight/head/day) throughout the rest of the vector (fly) season. So why start in spring to control anaplasmosis if cases of disease are in the fall of the year? Effective control begins in the spring by feeding chlortetracycline (CTC) throughout the vector (fly) season to the herd. Many producers find it easiest to offer CTC in free choice mineral rather than hand feeding CTC daily with Aureomycin®. However, with the advent of the Veterinary Feed Directive (VFD), what once was a quick trip to the feed supply store has become a far more complicated process to get medicated mineral. In order to obtain CTC, a producer must have a written VFD from a licensed veterinarian to present to the feed store before purchase of the product. Complicated rules governing the use of “free choice” products have created confusion on how to legally prescribe and utilize them. 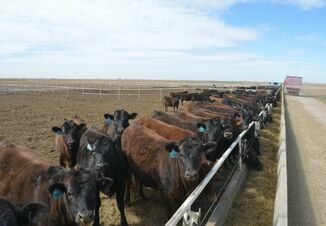 FDA updated or “clarified” the VFD regulations in February 2018 in a document entitled: “Questions and Answers: FDA Approved Free-Choice Feeding Options for Anaplasmosis Control in Cattle.” (The complete document may be found at https://www.fda.gov/AnimalVeterinary/DevelopmentApprovalProcess/ucm589933.htm). FDA states that “once a veterinarian has determined that anaplasmosis infection exists within a herd, whether or not clinical signs are apparent yet, he/she may write a VFD to direct the use of CTC for controlling the progression of the disease in that herd.” FDA leaves how to make this determination to the discretion of the veterinarian. How long to use the product is also left to the veterinarian’s discretion. A VFD order can be issued for a maximum of 180 day duration of feeding; if needed for a longer period of time, a new VFD order must be written. On the actual VFD form for Chlortetracycline, the veterinarian can only choose the #5 option (see example) for a free choice product. The FDA has approved several proprietary (unpublished) formulations for the use of CTC in free-choice medicated feeds for anaplasmosis control. Proprietary formulations can only be manufactured at a licensed feed mill but the publicly available formulation may be manufactured at any feed mill. For example, the 8000g/ton preparation is an ADM product called “MoorMan’s Special Range Minerals AU 168XFE”. It is legal for free choice consumption, requires a VFD, and will control anaplasmosis when consumed consistently. The 6000g/ton formulation is considered a publicly available recipe for a free-choice medicated mineral but specifications must be followed exactly as stated in the regulation to be legal. If there is any deviation from the formula (except for an approved change of vitamin and trace mineral premix), then it cannot be fed free choice. An example of this formulation is Burkmann CTC 6000 FC Mineral; again this is legal as a free choice mineral, requires a VFD, and effective if consumed consistently. There are many other products commercially available; consult a nutritionist or veterinarian for further recommendations. Beef and Non-lactating Dairy Cattle: As an aid in control of active infection of anaplasmosis caused by Anaplasma marginale susceptible to chlortetracycline when delivered in a free-choice feed. Remember, oral CTC is worthless if the animals are not consuming sufficient amounts of medicated feed so producers should monitor intakes. Even when feeding CTC throughout the vector season, some individual animals may become infected and die if they do not enough CTC. Extra-label use of feed additives is illegal and strictly prohibited by producers, veterinarians or nutritionists. The UKVDL and the Breathitt Lab recommend the Anaplasmosis cELISA test on serum to detect antibodies indicating infection and carrier status. Blood should be collected in serum (red top) tubes and serum removed by spinning the collection tube down and transferring the serum to a new labeled tube. Transport specimens to the lab as soon as possible after collection (overnight ship with cold packs). It is also recommended that a blood sample (purple top tube) be submitted for a CBC with differential in clinical cases (when the animal is sick) in order to assess the degree of anemia and regeneration and possible identification of the organism in the red cells. Please visit the UKVDL web site for additional information at http://vdl.uky.edu or the Breathitt Center web site at https://breathitt.murraystate.edu/feeschedule/. Always consult your veterinarian for the best program for your herd.